← Vegan MoFo Day 25 – Happy Mail & I’m Proud to MoFo! 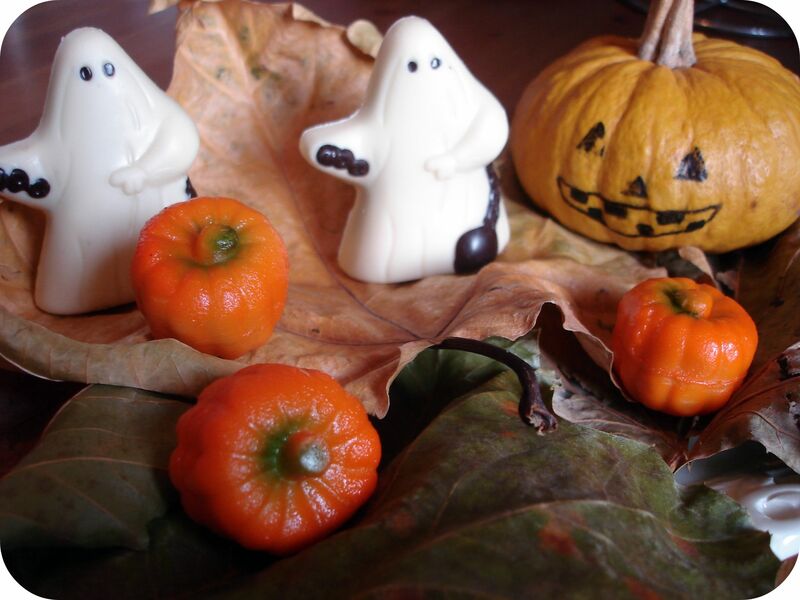 Vegan MoFo Day 26 – Halloween Treats, BBQ Treats, Blondie Treats! (No tricks, kids). Are these not the cutest ever? Originating with the Celts around 2000 years ago, Halloween has remained a mostly anglo-saxon holiday, moving to some of the various colonised countries with the colonizers. Despite various marketing attempts, it is not really celebrated in France. In Paris and in some more anglophone cities you can find stores selling decorations and goodies, but they are more and more the exception and not the rule. Imagine my joy when walking in front of my favorite little chocolaterie with Guppy the other day…the front window was decorated with Halloween treats galore! The ghosts and pumpkins really caught my eye, and when we walked in and I told the owner how I loved the window display she offered right away, “You know, I’m pretty sure the ghosts and pumpkins are dairy-free!” She then swiftly went in the back to consult her notes and confirmed with glee, “They are made with an almond paste, but it’s no dairy.” Yeah. Ok lady, twist my arm. I’ve decided to dedicate Vegan MoFo to trying yet untried recipes in my (small) collection of cookbooks. 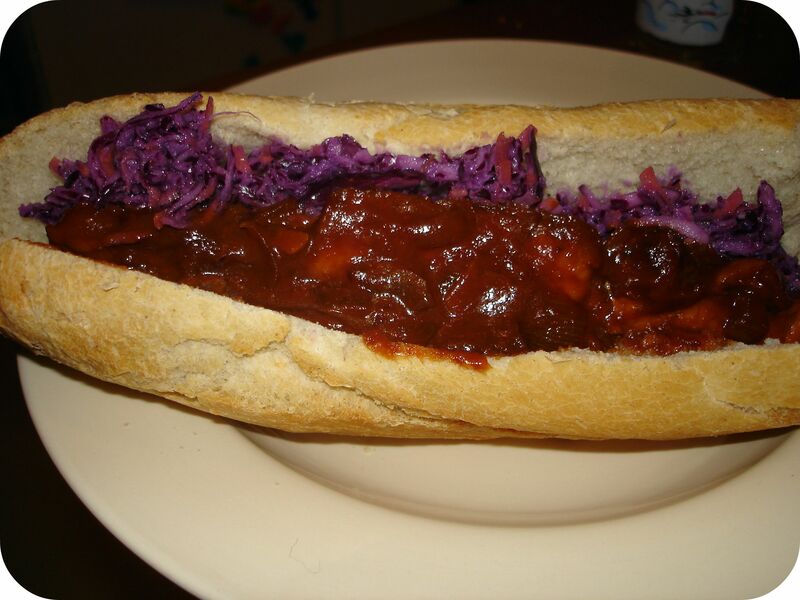 I came across the “BBQ Seitan and Crispy Coleslaw Sandwich” in VCON and thought, hey, I can swing this, I even have tempeh in the fridge! Yes, that’s right, I said tempeh. We’ve been eating a great deal of seitan around here lately, so I decided that this sandwich would be just as yummy with tempeh, and by golly it was! (Says the Shellyfish channeling a 1950’s teen). I never buy vegan mayo, so I just sort of fudged the dressing for the slaw with plain soy yogurt (which I usually do for slaw dressing and it’s just fine), but I did make the “Backyard BBQ Sauce” from VCON. My stand-by sauce is the BBQ from New Farm, so I felt a little guilty, but it was worth the infidelity because this sauce was rather scrummy. I just put the pre-fried tempeh in a baking dish with the BBQ sauce for about half an hour. Ding. We piled the sandwich goodness on some fresh baguette and dinner was served! All this Sweet Freedom deliciousness is really spoiling me! Luckily I’m a bit of a distance runner, otherwise I would have to make some new pants! Ricki, you are a recipe-writing genius. Those blondies were so delicious! I’ve tried a similar challenge with VeganMoFo. Hooray for giving our cookbooks some well-deserved love! Cute, cute little treats! 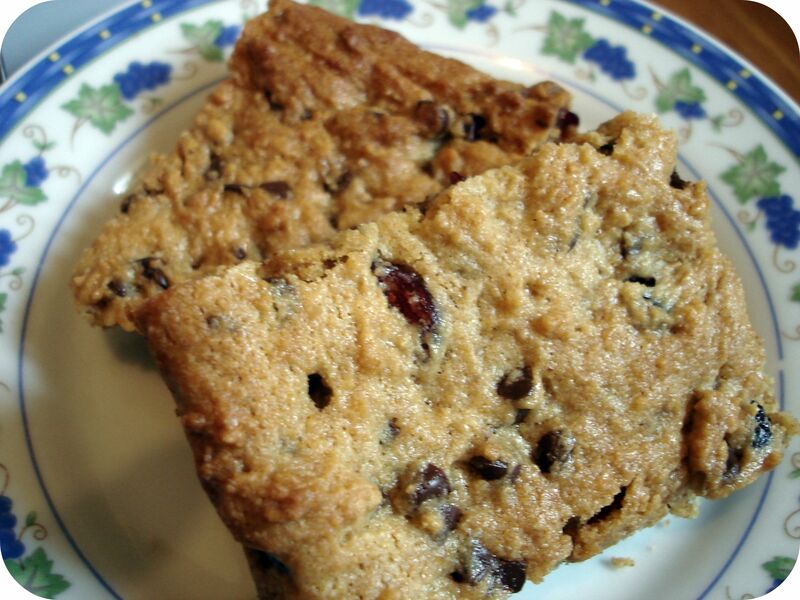 Ricki’s blondies got raves from anyone that tried mine too – they were really really good. How cute!! I love them! 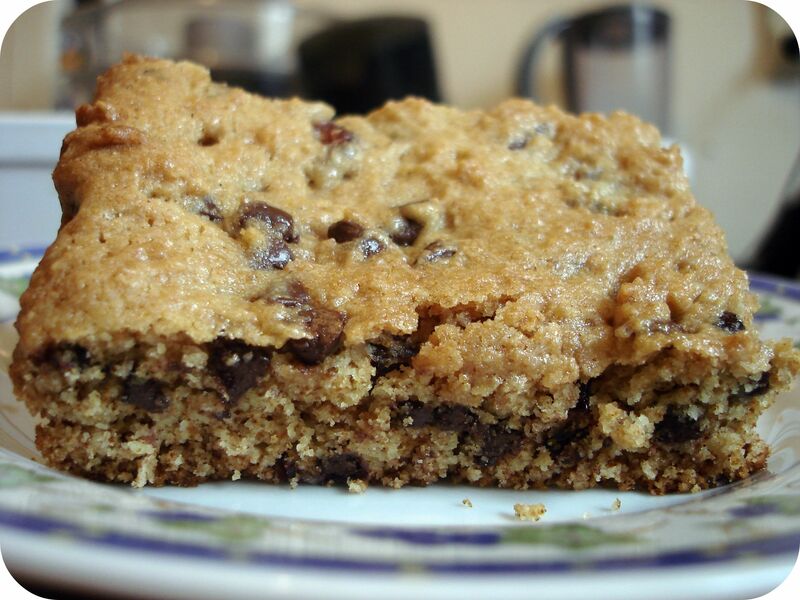 Those blondies just made my heart skip a beat! I remember being disappointed when living in Germany over Halloween and missing out on all the festivities. Hopefully it gains in popularity in France! Those blondies look so delicious! I can’t wait for Sweet Freedom to be published!